When introduced in 1983 the Sealord was the largest yacht in the Westerly range. Designed by Ed Dubois she was the queen of the Westerly fleet. With a production run between 1983 to 1987 only around 42 were built over the four year period. Constructed in the normal robust Westerly fashion they quickly proved themselves as capable offshore, centre cockpit cruising yachts. 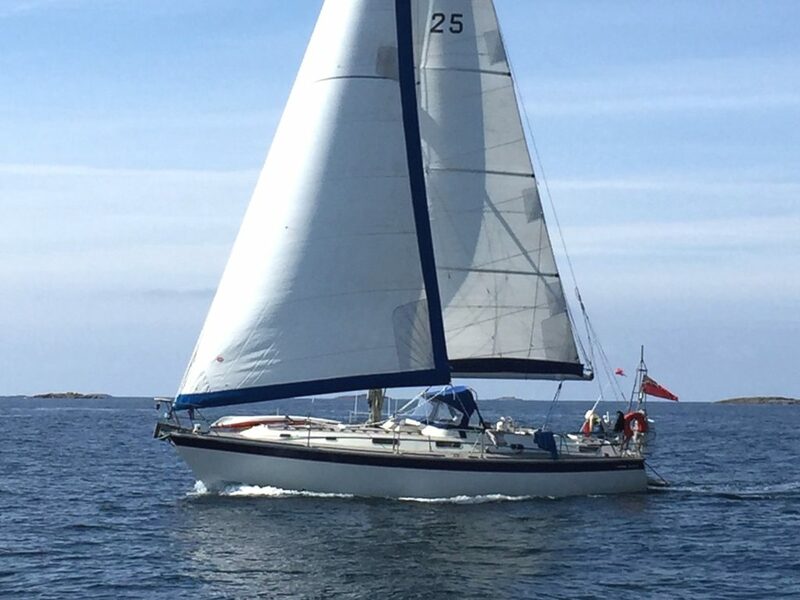 A much-loved example the current owners have enjoyed cruising Tighmara in the Mediterranean, France and Scotland. Finding the boat to be safe and reliable no matter the conditions. With a recently installed Beta engine and epoxied hull she offers a great base for somebody willing to invest some TLC. Full details of the boat can be found here.